US Air Force veteran and former B52 pilot David “Dave” Pflieger possesses more than three decades of experience in the aviation sector. As a CEO and senior executive at six different airlines, David Pflieger now serves as President and CEO of Ravn Air Group, Alaska’s largest regional local air carrier, based in Anchorage, Alaska. On September 22, 2018, Ravn Air launched its 2018 permanent fund dividend sale. For the second year in a row, the annual promotion offered discounts for Alaska residents flying to local destinations served by Ravn Air from mid-October to mid-May. This year, the sale presented Alaskans with an opportunity to save on flights for business — as well as family-related travel occurring from October 10, 2018; during the end-of-year holidays; and until May 14, 2019. 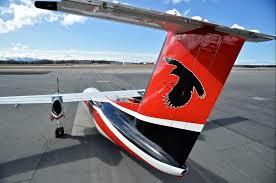 Alaska residents also saved even more as Ravn FlyAway Rewards members. Rewards members received a unique, one-time 25 percent off code for travel between destinations served by Ravn Alaska.